Iran's attempted satellite launch "violates UN resolution"
Benjamin Netanyahu says that the supposedly “innocent satellite” launched on Tuesday was actually “the first stage of an intercontinental missile” Iran is developing in violation of international agreements. 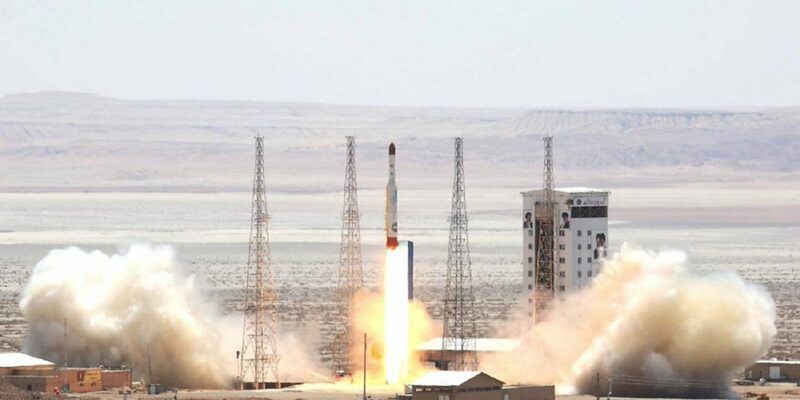 Iran announced earlier in the day that it had conducted one of at least two satellite launches it plans despite criticism from the United States, but that the Payem satellite failed to reach “necessary speed” to reach orbit. Iran insists it will be ready for a new satellite launch in a few months’ time. Netanyahu says the launch was part of the Iranian government’s lies, beginning with its denial of trying to develop a nuclear weapon and its flaunting of the nuclear accord reached with world powers. Rouhani was quoted by state media as saying, however, that Iran had “achieved great success in building satellites and launching them. That means we are on the right track. “The remaining problems are minor, will be resolved in a few months, and we will soon be ready for a new launch,” he said. The United States warned Iran this month against undertaking three planned rocket launches that it said would violate a UN Security Council resolution because they use ballistic missile technology. France’s Foreign Ministry on Wednesday condemned the abortive launch and urged Iran to cease ballistic missile tests, which Paris sees as of potential use for nuclear arms. “The Iranian ballistic program is a source of concern for the international community and France,” ministry spokeswoman Agnes von der Muhll said in a statement. “We call on Iran not to proceed with new ballistic missile tests designed to be able to carry nuclear weapons, including space launchers, and urge Iran to respect its obligations under all U.N. Security Council resolutions,” von der Muhll said.